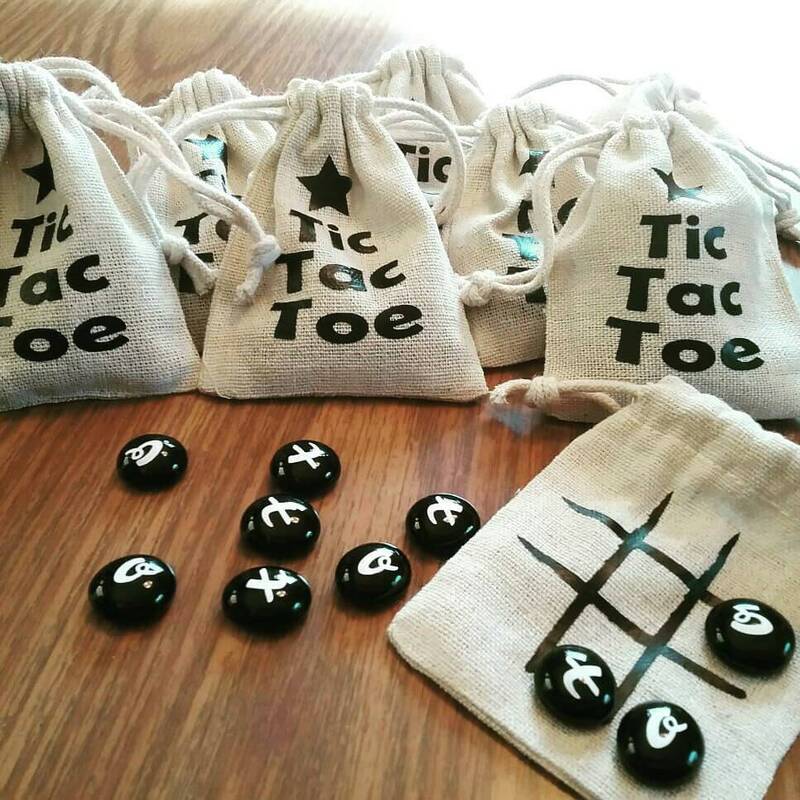 Tic Tac Toe Drawstring Travel Game. 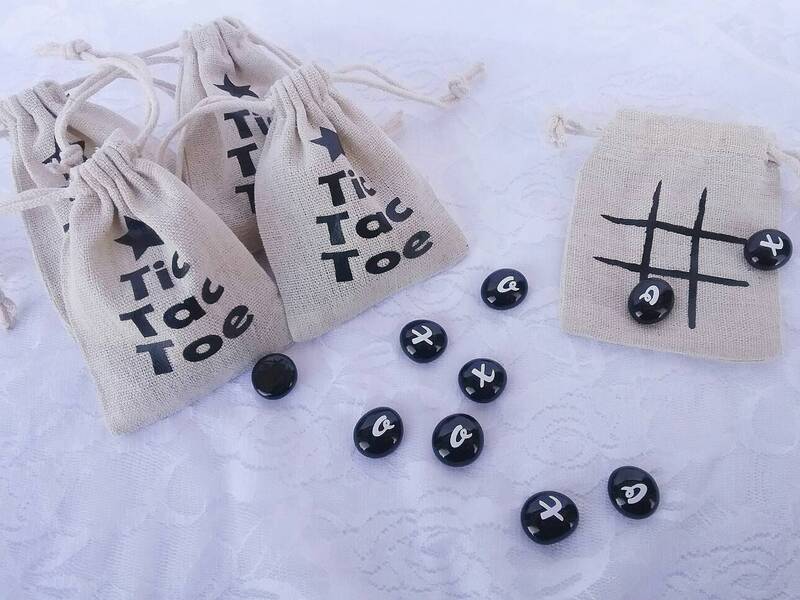 Perfect for Stocking Stuffers, Party Favors, and Travel Games. 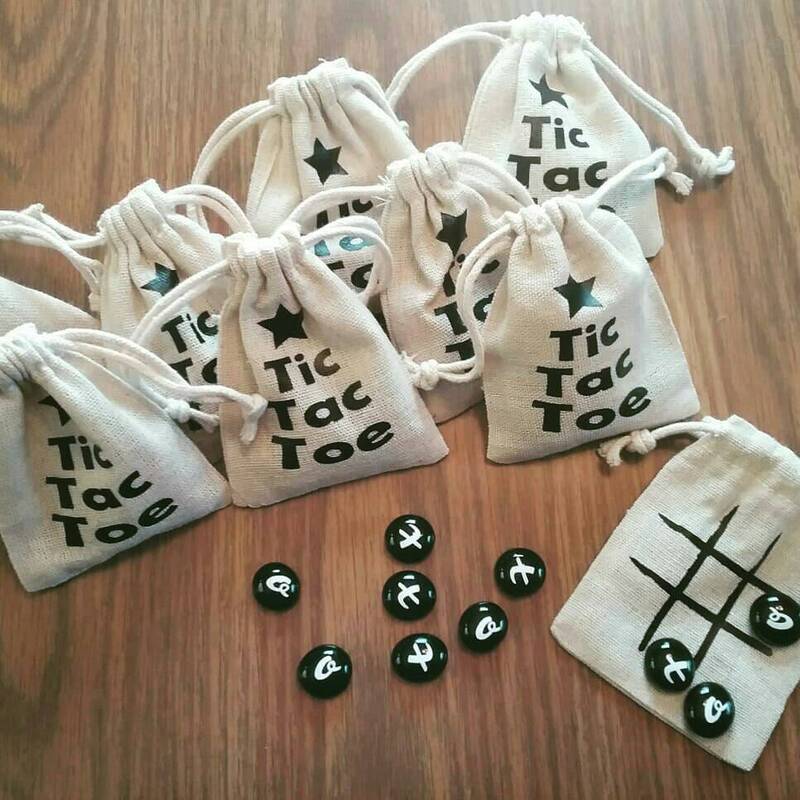 This Tic Tac Toe Game comes in a Burlap Drawstring Bag used as the game board with 5 X's and 5 O's inside. Bag measures aprox 2.5 x 3.5 includes 10 game pieces. Custom design and Personalization is available. 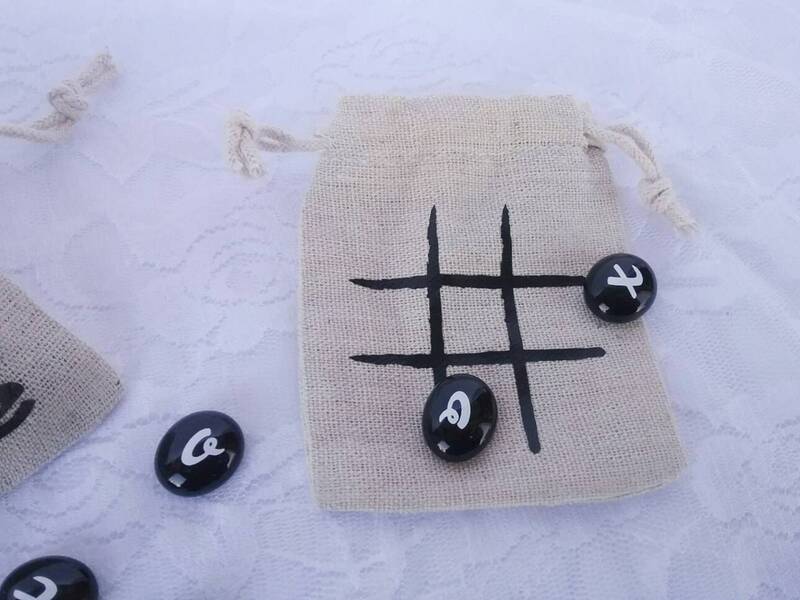 Bead (game pieces) color will be black with white lettering unless custom order is arranged prior to ordering. 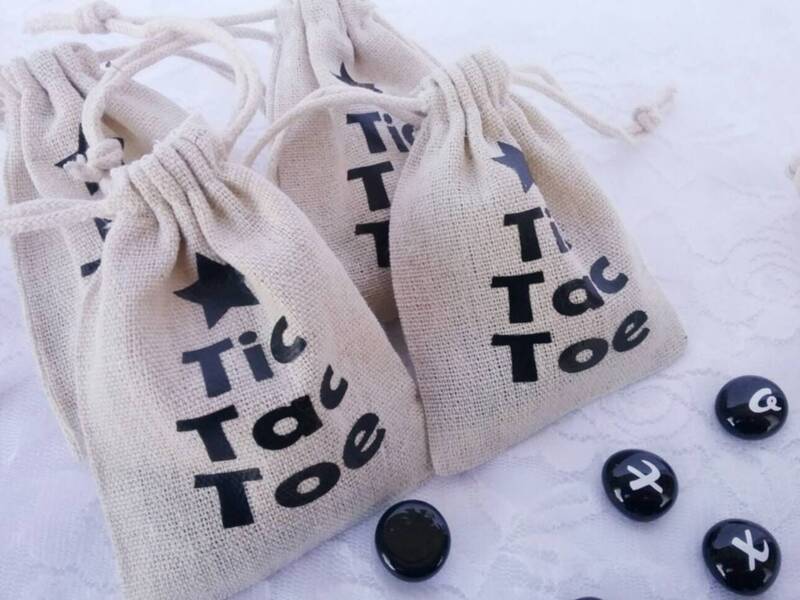 Burlap bag will be designed with a Tic Tac Toe board in black one side and Tic Tac Toe wording with a star in black on the other side. Other colors available upon request of a custom order.